And that is exceptionally good news when you consider 2016 was the largest year for VC fundraising since 2000! VC funds in the United States raised an impressive $40.6 billion in 2016, as reported by TechCrunch. However, as the saying goes: More money, more problems. Unfortunately, this statement isn't just a song lyric; it can also be a reality for founders who raise too much, too soon. According to top investors, the more money a startup raises in their seed and Series A rounds, the more likely they are to fail. It makes sense, when you stop and think about it: With each round you raise, you're giving away a portion of your company. Start handing out equity before you have gained serious traction, and you could find yourself in a predicament as you seek more rounds later. Raising venture capital before you have taken the time to build a viable market fit is rarely a good idea — no matter how good the current investment climate. Thus, it's important to keep in mind: Only you can answer the question of whether or not 2017 is a good year to raise capital. In recent years, Silicon Valley has given unicorns an unusually high amount of attention, dropping unprecedented amounts of cash on the tech scene's largest startups. Historically, identifying that diamond in the rough has been the driving strategy of venture capitalists. Data compiled from analyzing venture reports from Cambridge Associates research firm, and reported by TechCrunch, suggests early-stage investments have accounted for the bulk of the venture industry’s gains since 1994. As investors return to their roots, startup founders of all sizes will benefit. Should Tech Startups Raise Venture Capital in 2017? 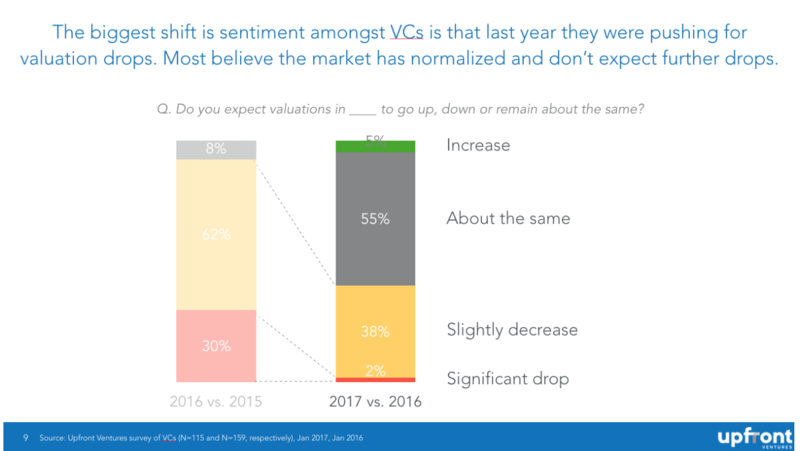 Exactly how optimistic are VCs in 2017? About 60 percent of those surveyed reported feeling optimistic, as opposed to only 9 percent in 2016. * What's the reason for the change of heart? It appears venture firms were stockpiling money in what was essentially a rebuilding year. While 2016 wasn't by any means a "bad" year for tech startups, the number making the jump to IPO was pretty lackluster. According to a 2016 Silicon Valley Bank study, only 17 percent of startups surveyed said they were working toward an IPO. Due to the Wall Street slowdown, top unicorns took a larger piece of the capital pie, ultimately forcing smaller startups to get scrappy. With that said, VC firms are once again poised to invest in early stage deals. As reported by TechCrunch, 134 venture firms closed funds to the tune of $22.5 billion during the first half of 2016 alone. Valuations will most likely remain steady through the end of 2017. As you can see from the graph above, only 2 percent of VCs are forecasting significant price drops this year — compared to last year's 30 percent price drop prediction. * Did we mention it's a great time to be raising venture capital? Should you think that optimism is limited to the United States, you would be mistaken. 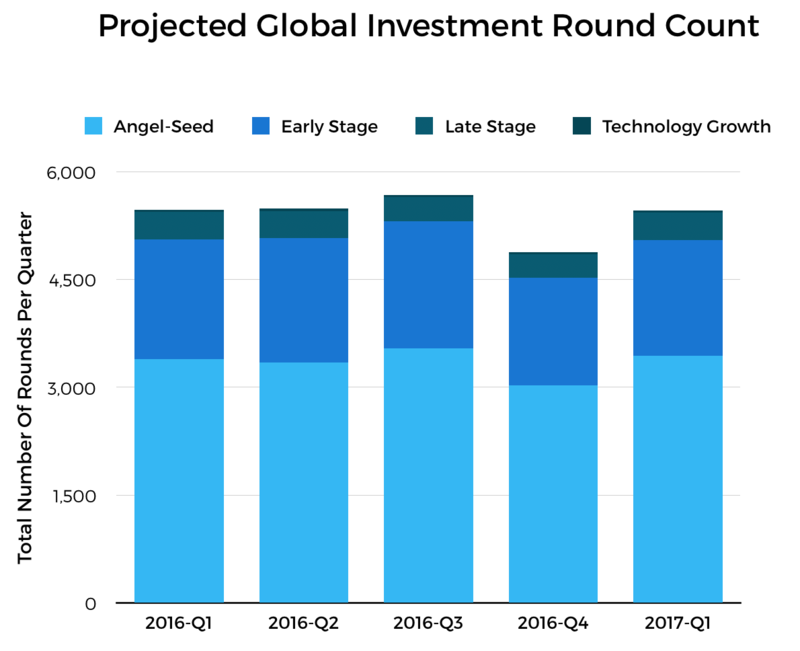 According to Crunchbase, the number of global equity funding rounds during the year's first quarter increased by 11.9 percent, compared to the fourth quarter of 2016. Seed and angel rounds increased by 13.5 percent. Late-stage financing increased by 15 percent. Technology growth rounds increased by 4 percent. The average size of early-stage rounds grew by 9 percent. Accel Partners, Andreessen Horowitz, and Tencent holdings were the leading investors in Q1. Greycroft Partners, Accel Partners, and 500 startups were the leading early stage investors in Q1. 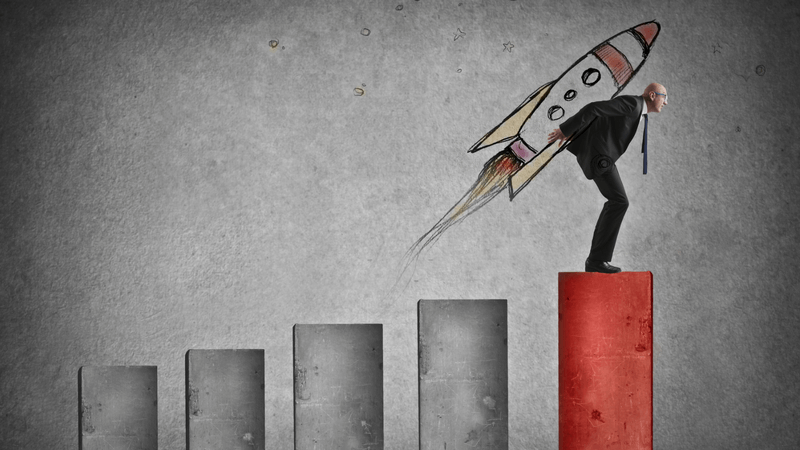 On a year-over-year basis, the median early stage round size has increased by 20 percent. The most active investors are accelerator programs. As you can see, there is significant reason for optimism when comparing stats on a quarter-by-quarter basis. However, it's important to note: The aggregate number of global rounds hasn't changed much. When comparing Q1 2017 to Q1 2016, the metrics are more or less the same. Perhaps we are simply back to "normal." One thing that is unlikely to go "back to normal" anytime soon, is our fascination with Artificial Intelligence. AI-powered enterprise apps are popping up all over the place, and investors are banking on the new technology to bolster a new generation of software and apps — especially in healthcare and FinTech. Artificial intelligence and machine learning are the obvious trends to continue gaining speed into next year. One offshoot of those I’m particularly interested in: I think both vocal and audible computing will continue to get a lot more exciting in 2017. Obviously, products like the Amazon Echo and, more recently, Google Home, have planted the seeds for this. Heading into next year, I suspect products like Apple’s AirPods will expand the trend in different ways. Recent surveying* echoes this sentiment, finding a significant number of VCs interested in "Machine Learning and AI." Additionally, many reported being interested in "VR/AR and Blockchain," but said those would likely need more time to mature. In 2017, VCs are well-funded, ready to spend, and more focused on early-stage startups. Thus, savvy founders should be doing everything they can to perfect their pitches, get introductions, and close deals. One of the best ways to get ahead? Partner with likeminded peers, advisors, and mentors who understand the venture capital scene. RocketSpace's tech campus brings together serious startups, with serious corporate partnerships, to create a supportive coworking environment. Exclusive community events geared toward raising investor capital. Introductions to corporate partnerships, mentors, and VCs. Ongoing social events for connecting with other tech startup founders and entrepreneurs. Need help prepping that next pitch? 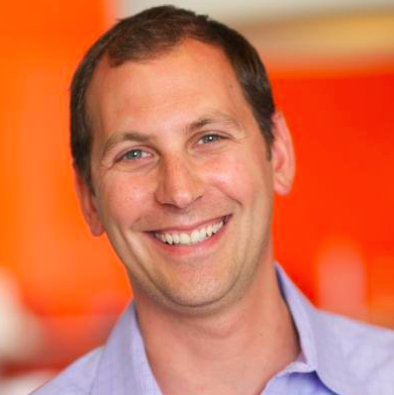 Check-out our free eBook: 12 Tips to Raising VC, Silicon Valley Startup Guide. *Data obtained from the Upfront Ventures March 2017 survey.